Thanks to YOU, 2014 was a great year and we are excited to enter 2015 with even more commitment and determination than ever! During this season of giving and reflection, it only makes sense that we give thanks to our supporters for everything you’ve done this year. You are the lifeblood of our organization and the source of hope for so many scleroderma patients. Check out this short video for just a few of the highlights. I hope you will continue the fight with us in 2015, as we work to put an end to scleroderma. All it takes is one person. One person with an idea and the determination to put an end to scleroderma. Everyday we are inspired by the people across our region in Illinois, Wisconsin and Indiana who dedicate their time and energy to organize their own community events to help further our cause. It doesn’t matter if you raise $10 or $10,000, each of us working together, doing what we can, is what gets us closer to curing this disease. During the season of giving, it seems only appropriate to give thanks to those who donated their time and energy in 2014. There are many of you out there working hard to make a difference. Thank you to not only these families, but to ALL OF YOU difference-makers out there who support the Scleroderma Foundation! Jason Ahonen started this fundraiser in Warren, IL to honor his father who was diagnosed with scleroderma and needed a lung transplant. Jason said, “I wanted to use my position as Head Coach of the Warren Township High School soccer team and get the message out to as many people as possible. While 300-400 fans does not seem like a lot, it only took one organ donor to save my dad’s life and give us hope. 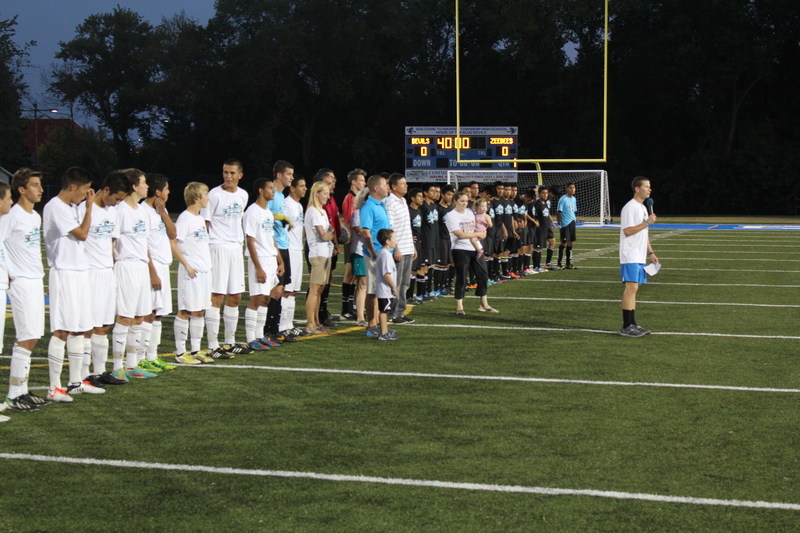 We have been fortunate to build the Warren boys soccer team into one of the top programs in the state and I felt we needed to give back and be aware of how lucky we truly are.” The soccer players get into it, sporting their scleroderma bracelets around school and on the field. The event has raised more than $4,000 in just three years. 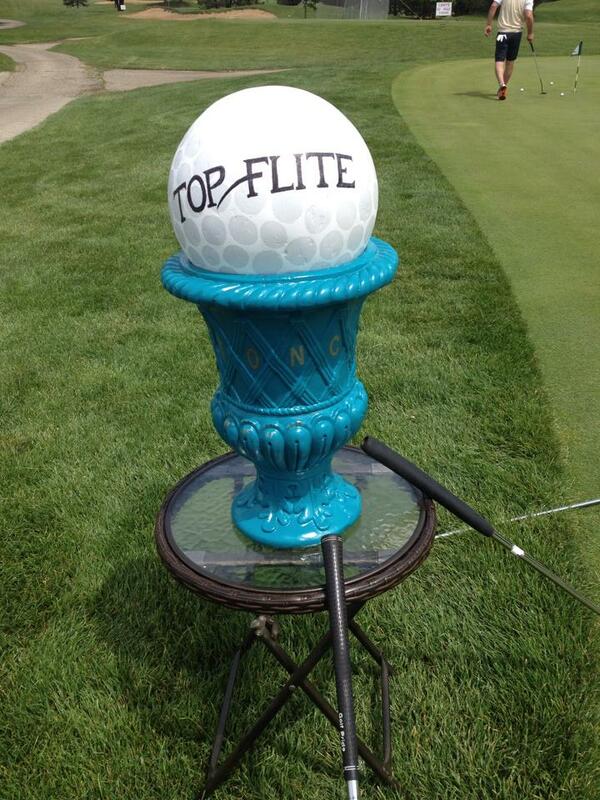 Started by the Ciszon family in Crystal Lake, IL, this annual golf event is simply a blast! Participants enjoy on-course competitions, raffle prizes and more! Many golfers showed up this year decked-out in teal and ready to have some fun. The day even included this unique “Tournament of Non-Champions” teal trophy for the winner! They started the event with just 15 golfers and now host more than 100 golfers! The event has raised more than $15,000 for scleroderma. After losing her aunt to scleroderma, Arissa Clark decided to take action and help raise money to find a cure. With her love of motorcycles, she organized a motorcycle ride in the Green Bay, WI area. 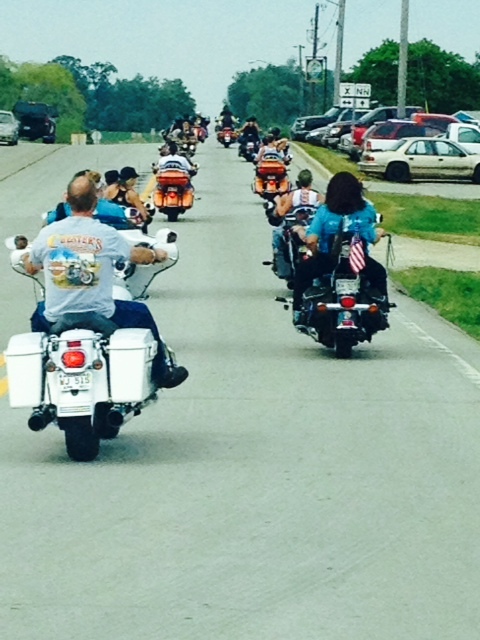 The fundraiser included not only the ride, but also lunch, local sponsors and raffle prizes. What a fun idea! We can’t wait to see what fundraising ideas you come up with in 2015 to help fight scleroderma. Thanks for all your efforts. Keep ’em coming!